It’s Halloween time, which is one of my favorite times of year for reasons I can’t really explain. I suppose part of it involves the change of weather, part of it the acceptable nature of eating hoards of chocolate that would otherwise be frowned upon and part of it being the prevalence of horror movies on Netflix and other media outlets. This year, the team behind Scarefest has teamed with dream-realizing RocketHub to give me another exciting thing to look forward to in October. In support of their Scarefest project, the team is hosting a cocktail reception and screening of horror classic, Scream, at The Crosby Hotel this weekend, and it’s open to the public. Quickly, let’s talk about what the hell Scarefest is. According to the brains behind this project, the idea is to produce a thriller based on the idea that a killer is preying upon viewers at a scary movie. The premise of the movie is that the majority of us seek out thrills and chills during the Halloween season (let’s face it..most of the time), but we feel comfortable with the danger trapped behind the movie screen. 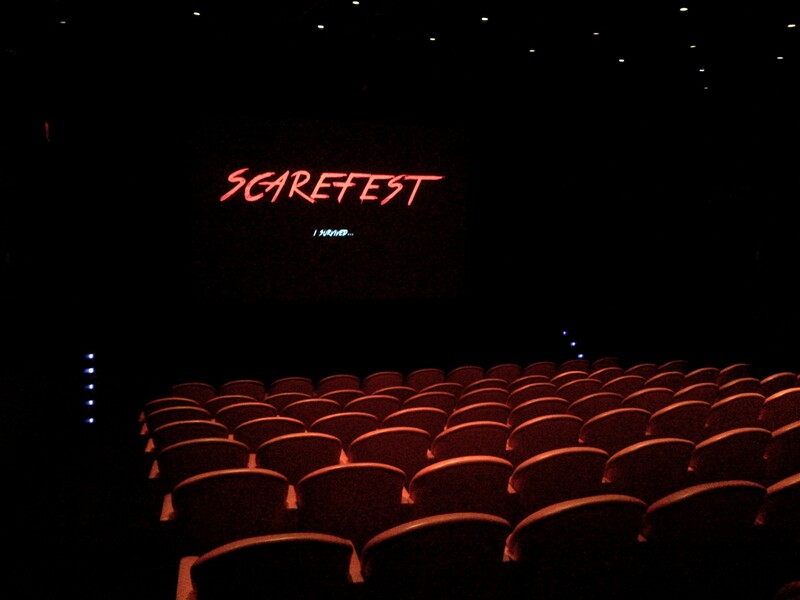 In Scarefest, this won’t be the case, as the killer will be present in the theater. As I’m not the one who dreamed up this masterpiece, maybe I’m not the best one to tell the story, but fortunately you can get a better rundown at the project RocketHub website here. One of the coolest parts about Scarefest is that we, as the audience, have the opportunity to also be part of the production team through RocketHub. By contributing to the funding of the movie to pay for location costs, food and accommodation, any necessary visual effects, etc., donors almost immediately earn “thank you” credits in the movie along with a variety of other perks ranging from social media shoutouts to posters to, ultimately, a production credit. One of the easiest ways to help fund the movie is to attend the screening this Friday, as a donation of $50 gets you a buttload of stuff including digital downloads, discounts on Halloween goings-on and two entries to the open bar and viewing this weekend. Did I say open bar? Also there are free cupcakes. And alcohol. For free. Classics, cupcakes and comped liquor. You can’t really go wrong with this one. In case you don’t have friends who are into cool stuff, don’t have $50 or just don’t feel like directly donating but still want to kick it at The Crosby, check out ticketing options here and make it happen. I’ll be there. Enter your email address to follow NY Social Status and receive notifications of new posts by email.